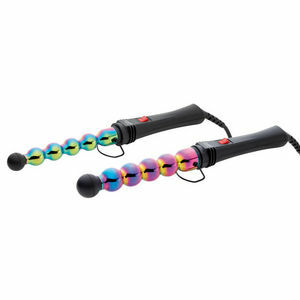 Swift way to next-level curls and ringlets - in 2 different sizes. 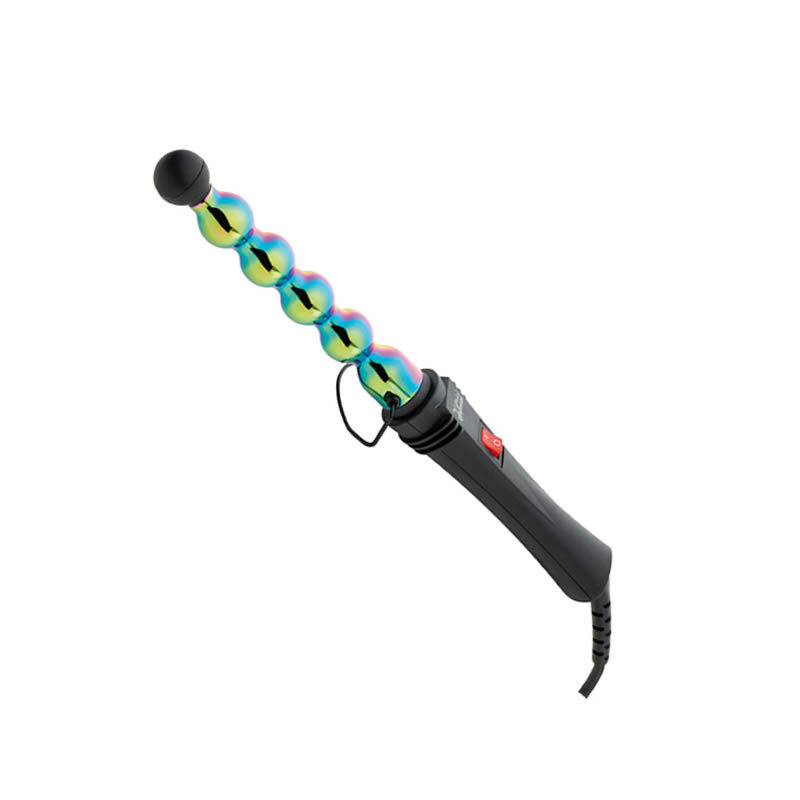 The Gamma Piu Bubble Iron Styler is easy to use and yet still out-performs wands and curling tongs! It will take your clients' curls and ringlets to the next level! Safe to handle with their anti-burn tip, each styler heats to 200°C and features an ergonomic anti-slip handle, a rotating no-tangle cord and luminous switch. Great results come courtesy of the Tourmaline Ceramic coating which helps curled hair to look absolutely stunning. And of course the wands look fun and funky themselves, courtesy of the rainbow bubble barrels that give them their name! Available in 25-mm or 33-mm barrel. £41.39 (inc. VAT) Why no VAT? We're a trade wholesaler and quote our prices without VAT to help our VAT-registered customers understand the true cost of a purchase.